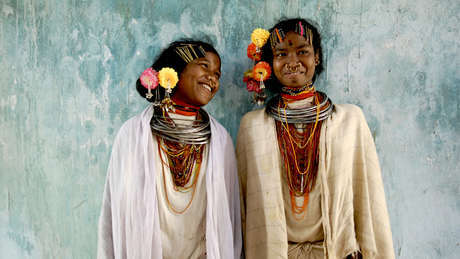 The Indian government is harassing and attempting to silence the leaders of the Dongria Kondh tribe, famous for winning a “David and Goliath” court battle against a British mining giant. The Dongria’s resistance to mining on their lands has continued since their landmark victory in 2014. Leaders including Dodi Pusika feel that the risk of mining remains as long as a refinery is operational at the foot of the Niyamgiri hills, an area which the tribe have been dependent on and managed for generations. A recent protest at the refinery was met with a baton-charge from police. Pusika’s daughter-in-law, Kuni Sikaka, was arrested in the middle of the night of May 3 and accused of links with armed Maoist rebels. In exchange for her release, Dodi Pusika and other members of his family were made to “surrender” as Maoists and paraded in front of the media. There has been an alarming increase in arbitrary, politically motivated arrests of tribal people who are resisting mining operations or government policies which endanger their lands and communities. Typically, those arrested are accused of Maoist links – usually without evidence. 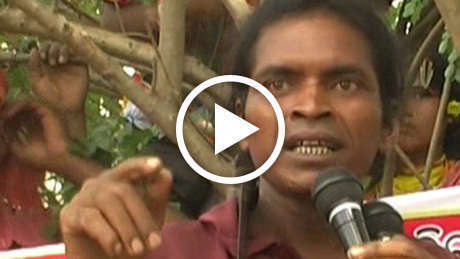 Human rights activist and doctor Binayak Sen and tribal teacher Soni Sori have both been imprisoned for alleged Maoist connections and only subsequently released after national and international campaigns. In April, the Home Ministry issued a report claiming that Maoists were “guiding the activities” of the Dongria’s organization, the Niyamgiri Suraksha Samiti (NSS). On the contrary, Maoists instructed the Dongria to boycott the very meetings at which they delivered their decisive “no” to mining. Survival is calling on the government to drop these fabricated charges, stop this persecution of the Dongria Kondh, respect their decision about the Niyamgiri mine, and to uphold their right to protect their lands and determine their own futures.